Dear reader, hands up, I was a bit nervous about reviewing Rosa. Lo and behold, Alasdair Shaw waded in ahead of me a couple of days ago and articulated the anxiety I had in his article on Anne Frank. 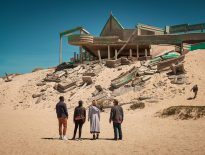 Where historical figures have taken action at great personal risk and stood for something, it’s key that when a show like Doctor Who represents that, it does so with sensitivity and respect. 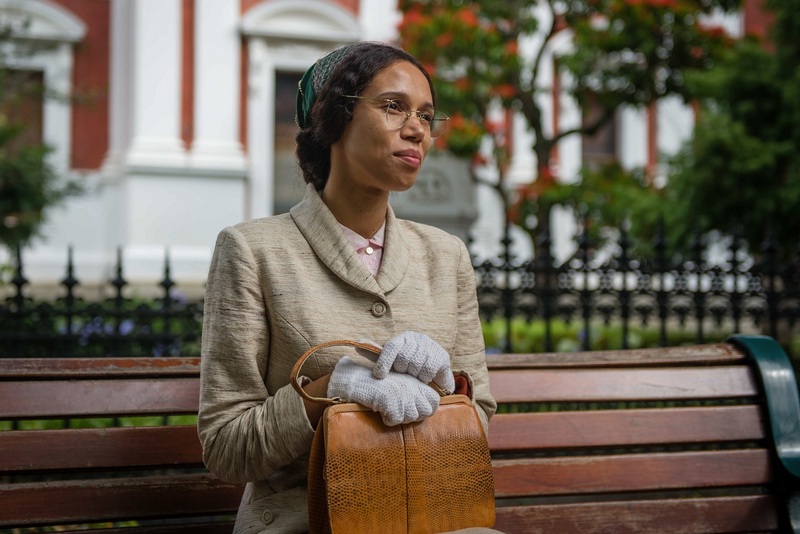 The very particular concern that I had was that if the Doctor turned out to have something to do with initiating or inspiring Rosa’s actions, it would take that agency away from a brave historical figure – more so it would take agency for progress in the civil rights movement away from a black person and give it to a fictional white person. The other concerns I had seen voiced online before (and after) it aired was that it would be “preachy”, putting a moral point before storytelling or that it would be overly politically correct. Political correctness is a funny thing. There’s a brilliant documentary on the DVD for Remembrance of the Daleks. 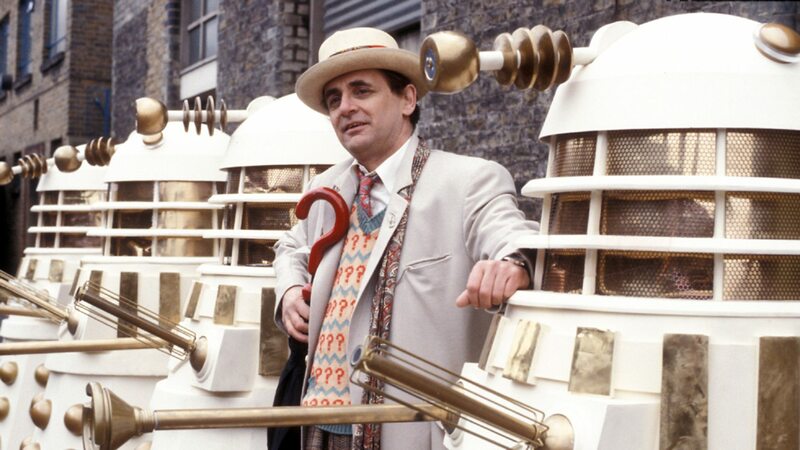 This was a Doctor Who story set in 1960s London where an embittered race war between Black Daleks and White Daleks took the place of direct commentary on racism. The one scene where it was really addressed was a lovely piece of writing and acting with Sylvester McCoy’s Doctor discussing slavery and cane sugar with John, played by Joseph Marcell in the café. The documentary points out that in a story about the evils of racism – the cast was entirely white apart from this one actor who only really had lines in this one scene – the scene is rather patronising to the character of John. For a bit of context – I’m white and I’m British. I can’t talk about what it’s like to be on the receiving end of structural racism. And by structural racism I mean ingrained assumptions, tropes, and tendencies that are embedded into a culture and disadvantage one group. Very happy to talk about the differences between this and racial discrimination in the comments below but I’m supposed to be reviewing the episode and I’m on the clock! Rosa Parks is a key figure in the US civil rights movement – her arrest for refusing to give up her seat to a white passenger on a race-segregated bus became an iconic moment in the civil rights movement and impetus for a bus boycott in Montgomery, Alabama. This inspired others and eventually lead to a successful court case the following year. The buses in 1950s Montgomery were run by a private company and they used Alabama state laws to enforce separate race seating. You could be arrested for sitting in a white seat with black skin. While legal challenge to Parks’s arrest got mired in state legal procedure, a later arrest of another civil rights activist was challenged at a federal level. In 1956, this brought about a ruling that separate seating violated the US Constitution’s Fourteenth Amendment – the amendment dates from 1868 and concerns equal treatment under the law. It has been litigated numerous times for racial segregation, for women’s reproductive rights and marriage equality. Blackman is a Black British writer, a former children’s laureate, and CBE. She has an impressive back catalogue of alternate reality and time-travel based narratives (and television adaptations) that have human relationships in their focus. She uses the science in science fiction/ fantasy to puts people into testing and heart-breaking scenarios that they wouldn’t encounter otherwise. Race became a bigger focus in some of her later work with the Noughts and Crosses book series, in which she presents an alternate reality where the history of black enslavement is flipped such that white people are the discriminated minority. This de-normalising context that confuses assumptions and expectations is then the backdrop to a more traditional romantic tragedy. In Rosa, Blackman is very shrewd in giving the Doctor a villain to combat – no helping, no inspiring, or taking agency away from the civil rights movement. Having a third party was key in allowing Rosa’s story to be separate from that of the Doctor and companions. 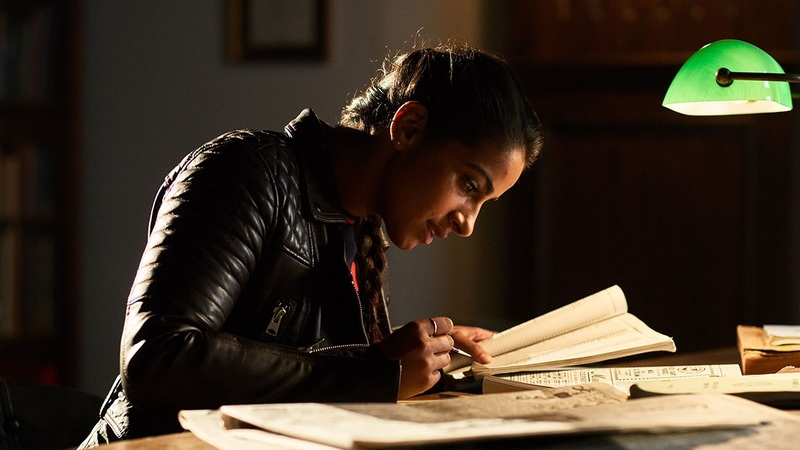 The main interactions with Rosa are banal from her point of view – Yaz and the Doctor stalling her to ensure she’s on the bus. The only sequence that matters is when Ryan spends time with her and Martin Luther King, getting to thank them personally for all that they did for people of colour the world over. One thing I had pondered was whether such a third party should be a racist or have some other convoluted motivation for changing history; perhaps the significance would be incidental? Blackman dove straight in and made him a violent white supremacist from the future – a very particular monster. There’s something brilliantly honest about this that just hadn’t occurred to me: the Fourteenth Amendment was made in 1886. Racism is a daily experience of many people in the UK in 2018. Why wouldn’t there be monsters of this kind in the far future? She does what the best fiction does – she tells the truth. The neuro-inhibitor was again a cunning piece of writing; it enabled the Doctor to have some excellent brains-over-brawn interactions with the villain while demonstrating true bravery. This also explained why everything had to be done in the shadows without guns or explosions. With the backstory, there was enough tech and temporal gadgets to keep me satisfied. He did seem a little bland though – he seemed to be a version of Hitler, having had a Mein Kampf style revelation during a lengthy prison sentence. There are all sorts of questions that come up here – what would giving him more backstory do? Would explaining his motivations come across as an excuse? Would humanising him dilute the core message of the episode? I don’t know the answer here but I think by having the bad guy be more of an embodiment of racism was again a cunning thing to do. He was the monster. That’s all we need to know. Portraying the experience of racism by a cast of mixed ethnicities was a challenge and I felt well handled. It was acknowledged and rather than trying to mollify it or assert that the Doctor and Graham would somehow compensate, the script just let us hear from Yaz and Ryan how horrible the experience was. And the experience of young people of colour being taught how to manage racism by their parents in modern-day England was clearly stated. I’ve seen some online comment that this section was a bit “preachy”. 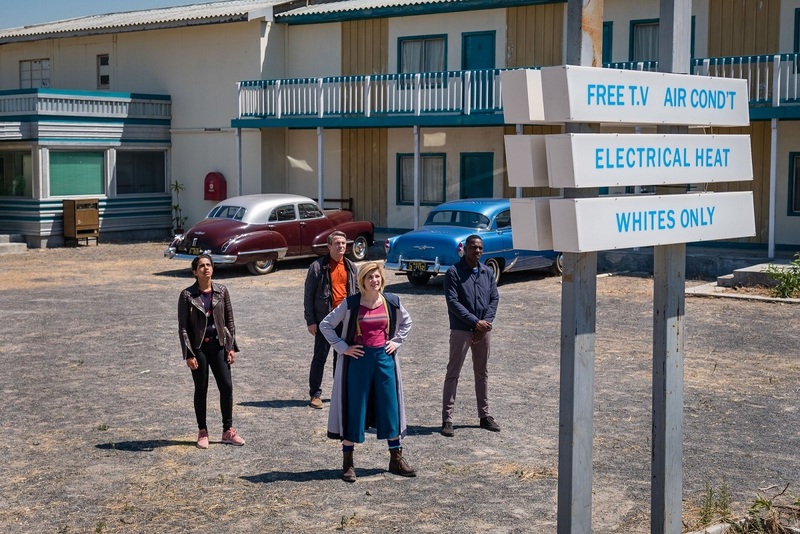 For me, this moment made me think about young fans who are of colour, seeing themselves and some of their experiences acknowledged on screen – I’m not sure that’s ever happened before in Doctor Who. So while it may have felt more expository than neighbouring segments, I think it was relevant. And more importantly a key part of the future of what was being tackled in the episode. Earlier, I mentioned how Blackman tackled different viewpoints in Rosa. 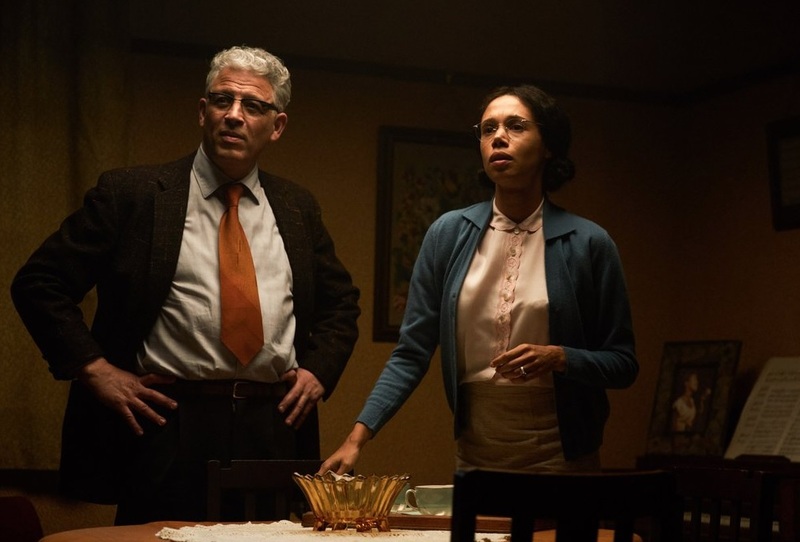 Yaz and Ryan’s experience shows us what it was like to be on the receiving end of the appalling hatred towards people of colour in 1950s Alabama. The white characters were witnesses to this – but one thing Blackman didn’t do (which I think some were afraid of) was to take sides. She treated people as people and showed their experiences on screen. But what she did do with the viewpoint of a white character really surprised me. When the TARDIS crew have ensured Rosa and James Blake, the bus driver she defies are, on the bus together, Graham wants to get up and leave. He wants to remove himself from this awful part of history that he feels so distant from. There was a moment where Graham realises that as a white person on that bus, he has to participate in the discrimination in order to keep history on its course. He wants to get up and leave – but events require him to take up a white seat and be a part of Rosa’s daily reality. Far from being able to escape, Graham is briefly straightjacketed by the timeline, while Rosa engages her agency. I thought this was a superb piece of writing. It really spoke to the idea that without action – Rosa’s actions – there is no change. Finally, we are shown the moment where Rosa kept her seat and was taken away by the police. This was filmed beautifully. 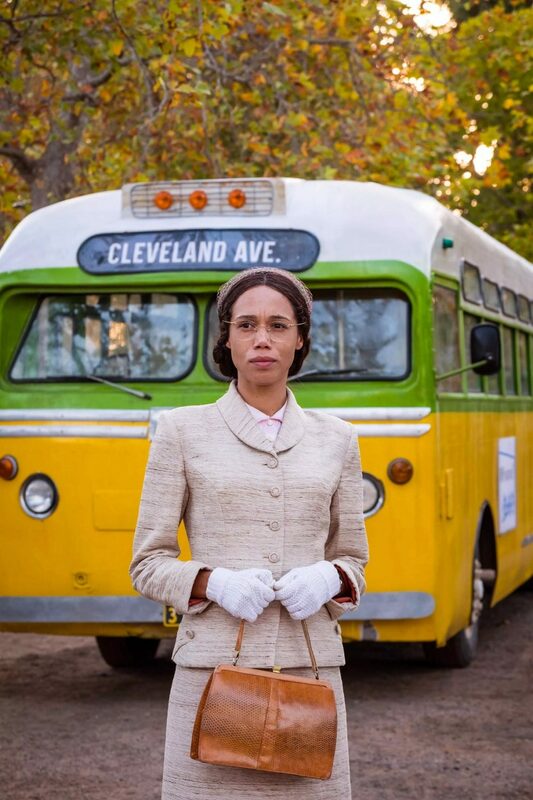 As she walks away past the bus, the Doctor is an observer while Rosa looks up and makes eye contact with Ryan who had sought out a real interaction with her. And now to the really important stuff – like the fact that the time rotor DOES rise and fall (thank goodness – though I can’t be alone in preferring a smoother sinusoidal motion to the Curse of Fatal Death squeeze-n-drop they’ve chosen). We got a slightly clearer glimpse of the TARDIS interior during the admittedly-very-lecture-like wrap up at the end. I’m not sure what you think, reader… but while the console is visually intriguing and and the never-ending walls are genius, I think they could do without those claws. I have the horrible feeling that the set was designed with constant mood-lighting in mind and whenever the cast need to be seen more clearly, the set ends up looking a bit chunky and plastic. That said, the console itself is a work of Verne-meets-Area 51 brilliance, so handsome that I’ll even forgive the egg timer. For now. The music is good – I’m really enjoying the slightly more grown-up tone that Chris Chibnall has gone for with his incarnation of the show. The score compliments rather than dictates the sentiment of what we see onscreen. Though I was less sure of the Sinister Cello™ whenever the bad guy showed up. That was a little too on-the-nose. Vinette Robinson (Sherlock) was fabulous as Rosa. I can’t speak for the accents but I found her performance engaging, convincing, and perfectly pitched for the show and setting. Overall, the dynamics between the regular cast are a little unclear to me, but I like them and I’m enjoying getting to know them. 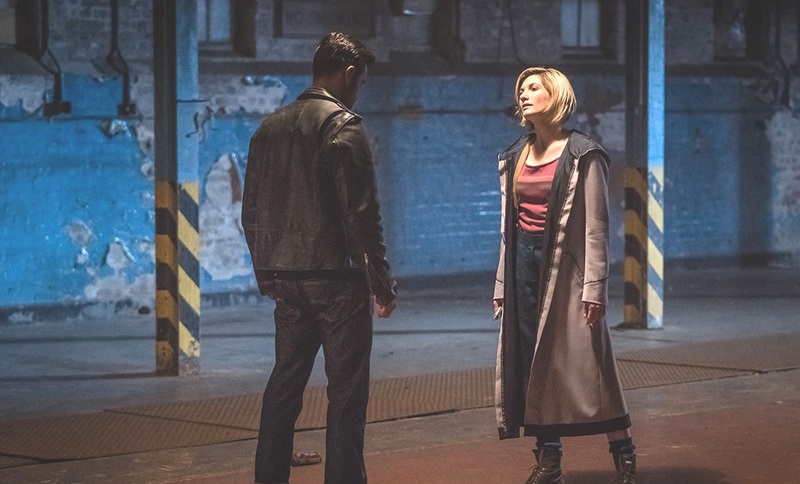 The one that is very clear though is Graham and Ryan – there’s an interesting story there which I’m confident Chibnall has thought through carefully. Jodie still bemuses me: she’s a delight on-screen. Airy, busy and fun. I’m not sure if she feels like the Doctor for me yet (though actually only two-and-a-half actors have since 1981 – and no, I won’t say who) but there are the odd lines here and there where I’m totally convinced. It’s the “lights and sirens” and “excellent nasal hairs” moments where she’s quick, clever, and teasing. That’s space Gandalf – the old rascal.